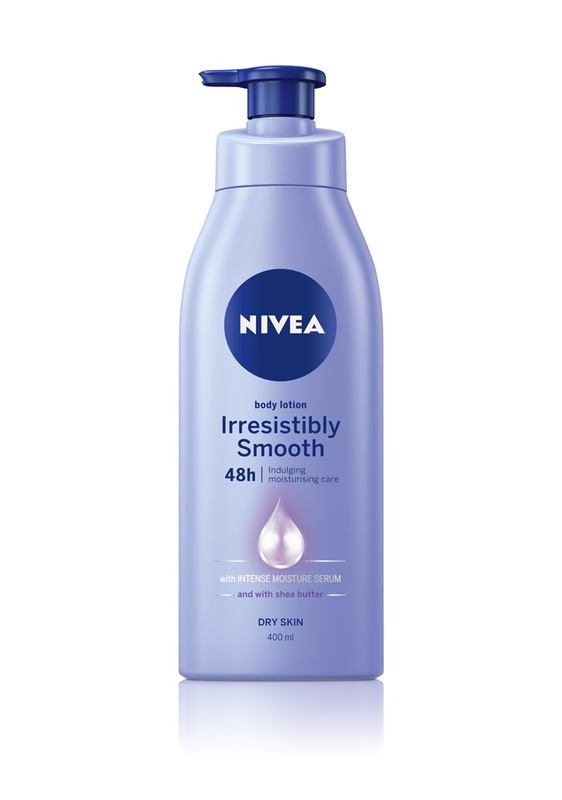 NIVEA Irresistibly Smooth Body Lotion is a body lotion that offers long-lasting, deeply moisturised skin. With regular use, the non-greasy formula keeps skin smooth and soft for days. It is free of colourants, ethyl alcohol and animal-derived ingredients.  75mL Retailer Stockists: Chemist Warehouse, Discount Department Stores & Selected Pharmacies. 250mL Retailer Stockists: IGA, Chemist Warehouse & Selected Pharmacies. This body lotion is good to use straight after a shower. It's great for all seasons as it's not super oily and thick like the classic nivea creme. There is a pleasant texture to the product and the smell is not overpowering, and because the texture is smooth, it's fast to apply to the body. So my skin can be very dry and sensitive, but this moisturiser does a great job of keeping it moisturised and soft. It's pretty creamy, and isn't greasy or oily and it absorbs quite well into the skin. The scent isn't overpowering, and it is also very affordable so it's pretty good. Sometimes it doesn't do as much as it could in summer which is a little bit disappointing. This product really is amazing. I loved the smell and feel of this moisturising body lotion as soon I smelt it & applied it on my skin. My sister was using it for her daughter when I noticed it! I tried some on my skin, which isn't overly dry, and I've never looked back. It makes my skin feel so soft & moisturised and smelling great for hours. I use it any opportunity I get, especially after a shower or before I go out! Again, an inexpensive product with great benefits. I was sent a sample sachet of this product and recently applied it on to my legs and found it to be very light and subtly scented (probably the shea butter i can smell). It made my skin feel soft but non greasy. great for dry sensitive skin. Nivea recommend using this cream regularly to obtain smoother softer skin. I would definitely consider buying this product in the future. I would apply to areas that are going to be covered unless apply sunscreen over the top of it or after sun, as it doesn't contain have sunscreen. I got this as a sample from online and oh my goodness do I love it!! The texture is a slight bit thicker than a standard moisturiser but not an issue. I fell in love with this cream! It is so moisturising and not greasy at all. I need to moisturise my legs daily but since trying this I haven't needed to as they are still smooth and soft as it absorbs so well into your skin. Gives you a lovely natural glow and skin is much smoother. This is a beautiful product and I recommend it if your skin is dry and you need something with some punch that won't weigh the skin down or break the bank. It's a thick, rich cream with a slightly greasy texture that I quite like because it feels so nourishing and hydrating. It does leave the faintest residue behind but it's a good residue that's not too heavy and it leaves your skin feeling soft and silky. The product has quite a strong, creamy scent - I'm smelling the shea butter - and it does linger on the skin in a way I like because it's a soft, inoffensive smell, but do test this first if you can't stand fragranced products because the scent mightn't be for you. It spreads and absorbs beautifully well, and this is what I love most about the product: it just nourishes without fanfare. A little also goes a long way so the bottle should last a good while, and my skin never feels uncomfortable or tight after using this because the product does its job with a minimum of fuss. I love the pump packaging so that's another plus, and it's quickly become one of my favourite body creams. I purchased this product two weeks ago and was immediately impressed. It leaves my skin feeling so soft and smooth and not at all greasy. The packaging is appealing and I love the pump pack for ease of use after showering. A little goes a long way so this body lotion is good value for money. I love the fragrance which to me is very clean and fresh and quite feminine without being sweet. I find that one pump does both upper arms and chest, one pump for tummy and back and one pump for each full leg. Those with normal to dry and very dry skin. My daughter has extremely dry skin and this works wonderfully for her. She no longer needs to carry a moisturiser in her bag when wearing a skirt to stop the "lizard" look on her legs. A little goes a long way so she finds it great value for money as well. She has found that it doesn't make her legs go red when put on after shaving. She never worries about any part of her body going "scaly" anymore and has a very light fragrance that never clashes or over-powers her perfume. be careful when using the pump as a little goes a long way but you can pump out a small amount which is good. I bought a big bottle of this lotion when they were on sale in Priceline a few years ago and have only started to run out. It comes in a large pump bottle or smaller squirt bottle for easy access. It has a light pleasant scent, on the thicker side in terms of consistency and very moisturising. Sometimes it's a little bit too thick for my liking so I apply after showers on slightly damp skin to help it spread out. After using this product for a couple of months it quickly became my favourite hand & body moisturiser, and in fact I now sometimes even use it on my face. It totally lives up to its claims: absorbing into skin quickly without any greasy look or feel; and leaving skin soft and very smooth for an entire day after it has been applied. It also has a very pleasant smell and a nice consistency. Best of all, my rather sensitive skin has never reacted to it, as has happened in the past with some other products I have tried (Olay are the worst in this respect). It's great value for money too: at between $4 to $6 for a large (400ml) container, it makes the much higher prices asked for other moisturisers that don't seem to work nearly as well look completely ridiculous. Buy several bottles whenever it's 'on special' and selling for as low as $4. Skin that is on the dry side; sensitive skin that has developed allergic-types rashes to certain other products in the past. The biggest selling point for me is that this is cheap and does a decent job. For some reason it is always on sale in either Coles or Wollworths for $5/400mL. Is there a better body lotion out there which does a better job? Yes. Heaps. But not at this price. At this price range I only trust Nivea and Dove at the moment. Many reviewers had commented that this is lightweight. I found this to be "medium" weight for my skin which I found fantastic to use in between seasons. It is quite quickly absorbed letting me get dressed shortly after using it. I do find the smell to be quite "generic", probably just the shea butter smell. I do prefer my body lotion has no or little smell so that it doesn't affect the scent of my perfume, if I am using one. This lotion makes my skin feels soft to touch and I do not need to layer more until I take a shower again. It is lightweight, spreads easily and absorbs fast and when I take a shower I can actually feel it coming off my legs, IT STAYS ON THAT LONG!!!! It is lightweight, yet very moisturizing, i personally love the smell and it really keeps my skin moisturized and soft. One of my favourites body mositurizers if not the most favourite!!!! Nivea Irresistibly smooth body lotion comes in a large 400ml bottle with a pump dispenser. I use this once a day in the morning after showering. I like the pump dispenser and the product is light with a slight fragrance. It absorbs well into my skin, doesn't leave a greasy feel and my skin feels smooth , moisturised and soft all day. It contains Shea Butter. I would probably buy this again. It's good value for money. This is just a great general moisturiser for your body. It absorbs quickly, smells nice and just does the job. Its inexpensive and the bottle is a decent size so it should last a while. Just a good product in general and I would definitely recommend. This is a very oily moisturiser, I wanted to like it, as it is affordable and NIVEA do great products, but it gave me bumpy rashes on my legs, so unfortunately I couldn't use it any longer. RESPONSE FROM NIVEA: Hi Jaslouisee, Thanks for your review and feedback and sorry to hear the product didn't meet your needs. From what you have described it sounds like this product isn't right for you!! And you have definitely done the right thing with deciding not to use it again. Everyone's skin is different and since this one didn't suit you we would recommend our Express Hydration product which is lighter and absorbs quickly into skin. Hope that helps J If you would like more information please call our consumer services team on 1800 103 023 Thanks !!! This is a really nice moisturizer, it comes in a big 400mL bottle which now has a pump for easier application. The consistency is light, easily absorbent and has a slight sunscreen scent to it. I haven't particularly noticed any skin smoothing qualities from this, but it definitely works at keeping skin hydrated and supple. It's quite cheap and often on special, & can be found just about anywhere. Of all the different Nivea Body lotion I've tried this one is perfect for the summer months. It absorbed into my skin really quickly after my shower and my skin stayed soft and hydrated all day long. It is a much lighter formula than the Nivea Dark Blue Rich Nourishing lotion. It contains Shea butter which makes the skin silky smooth. The fragrance is not too strong and fades away a little while after applying. Want to look good in a bikini? There's nothing like the feeling you get from an in-salon beauty treatment. We show you how to prolong your just-been-pampered buzz from your own home.